We are a professional river outfitter with over 30 years experience. Our safety record is unsurpassed in the industry. We believe our staff is simply the best in the business. Guides are chosen for their character and enthusiasm for sharing the outdoors with you. Our weekend of rivers package is available to anyone on any two consecutive days. 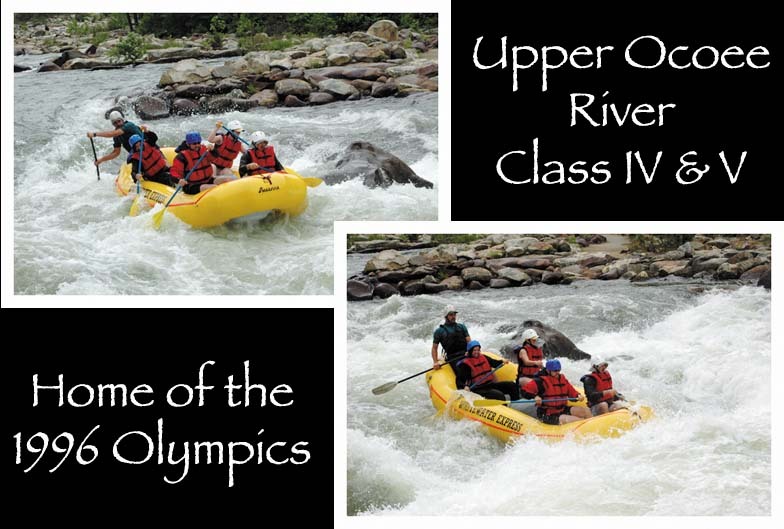 We begin with a guided white water rafting down the Nantahala River (class II & III). 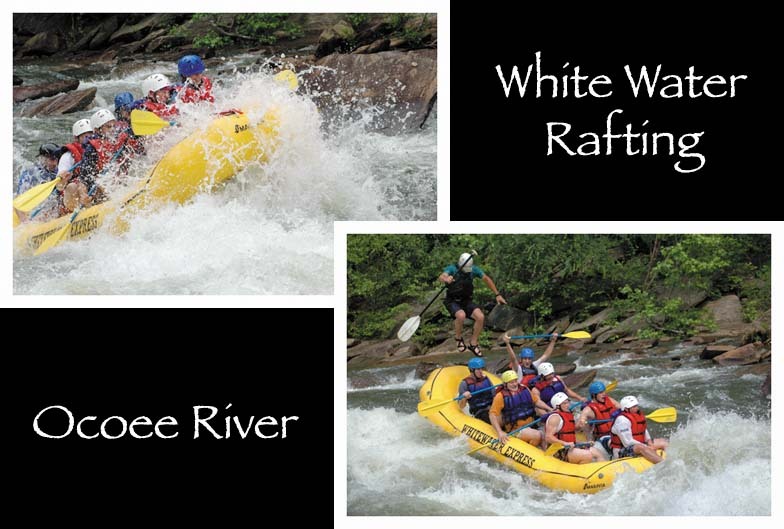 Wake the next morning and head for the Ocoee for an exhilarating ride down the river. The excitement of the Ocoee seems to end all too quickly. Our answer is Double Trouble - twice down the river in one day! 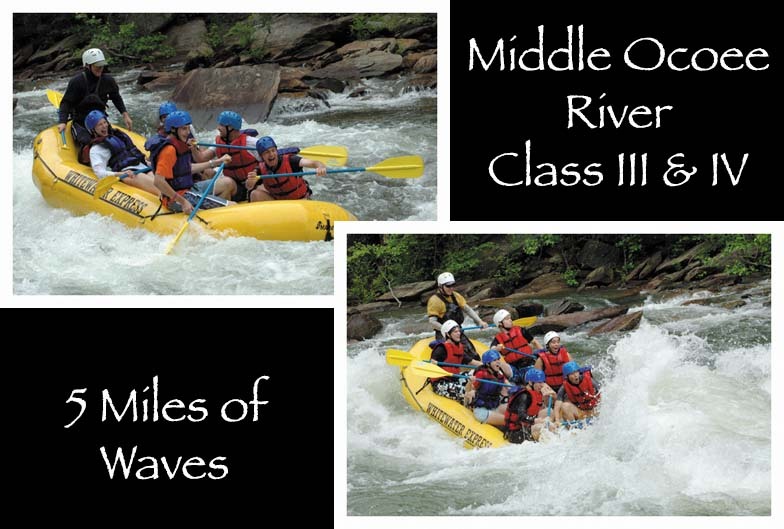 The second time we will teach you how to surf that many waves and play in the holes of the Ocoee. This allows you to experience the river in a whole new way! Saddle up for fun! This fantastic package combines horseback riding fun with a great day of white water adventure. Camp with us for and extra $8.50 per person/per night. From the challenge of heights to the challenge of the river gorge. An exciting trip you will never forget. Located 5 miles from Ducktown, TN. 30 minutes from Blue Ridge & Blairsville, GA, and Murphy, NC. Looking for lodging let us help....We know of many qualified lodging in the surrounding areas.